Local, not-for-profit public broadcasting station, WETA serves the Greater Washington community, producing and broadcasting radio and television programs of intellectual integrity and cultural merit that inspire, enlighten and entertain. As a public, not-for-profit broadcaster, WETA counts on individual viewers and listeners for more than half of its day-to-day operating funds. Your contribution helps support the production and broadcast of programs that are available to all members of our community, including educational outreach in schools and other institutions across the area. WETA’s mission is to produce and broadcast television and radio programs of intellectual integrity and cultural merit that recognize viewers’ and listeners’ intelligence, curiosity and interest in the world around them. 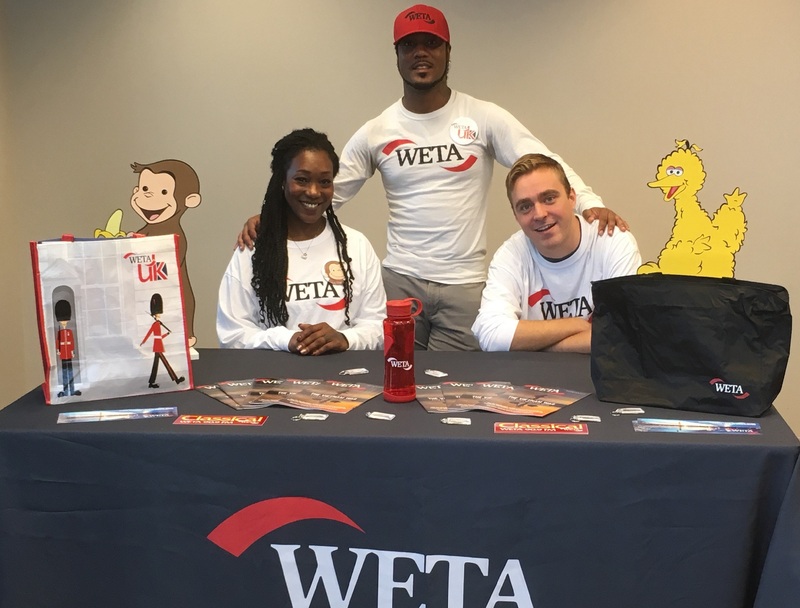 As an independent and not-for-profit broadcaster and producer, WETA provides individuals in the wider Metropolitan area with quality, compelling programs and serves a broad community with educational projects and Web-based initiatives. In addition to being the sole broadcaster of beautiful classical music in the Washington region, Classical WETA 90.9 FM is also the only source in local radio for opera, and live and recorded classical concerts from venues in our area. For 50 years, WETA TV has provided compelling, in-depth programs that not only enrich and enlighten but also inspire many individuals to become informed and vital contributors to their communities. We broadcast four, free over-the-air TV signals for area viewers: WETA TV 26, WETA HD, WETA Create and WETA Kids. 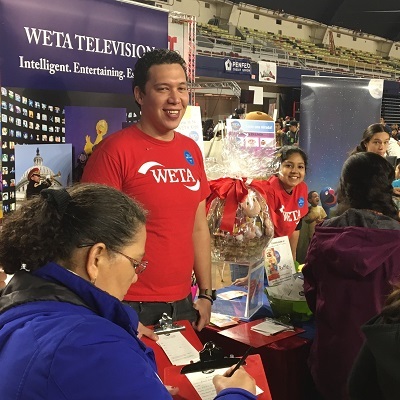 WETA also provides an important service to children and educators in the community, creating initiatives that aid families, teachers and childcare providers in utilizing public television to support and encourage reading skills. Additionally, WETA creates public service websites such as the award-winning ReadingRockets.org, ColorinColorado.org; and BrainLine.org, which addresses traumatic brain injury for people of all ages, including members of the military. A top producer of public affairs, history, and arts and cultural programming, WETA creates some of the finest, most-watched programming in television, including the award-winning "PBS NewsHour," "Washington Week," "In Performance at the White House" and much more. This work also includes production partnerships with filmmaker Ken Burns and historian Henry Louis Gates, Jr., with recent broadcasts "The Vietnam War" and "Black America Since MLK: And Still I Rise," respectively. 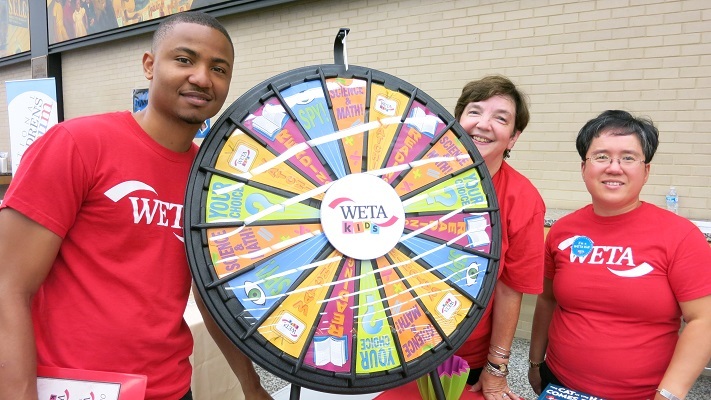 As a non-profit, WETA relies on members of the community to support the company’s mission of service. It is the collective support of members, donors, listeners, viewers, parents, teachers and many others that sustains WETA’s important work. Your gift to WETA is a gift to the people of your community. Through your support, you are helping others in Greater Washington and beyond, empowering audiences to share the joy of learning, to stay informed as citizens, to benefit from a deeper understanding of the nation’s history, and to experience the nourishment of the arts and sublime music. Your CFC contributions will help WETA continue to provide a unique service to the national capital region, creating content of true consequence and bring important ideas to life on behalf of the public. As the flagship public broadcasting station in the metropolitan Washington, D.C. area, WETA is unique in various ways. Classical WETA is the only broadcast source for classical music in the metropolitan Washington, D.C. In addition to our free classical music broadcasts, Classical WETA is also the only source for opera, voice and other vocal music through its service, Viva la Voce. Contributions help fund the inspiring offerings on-air, including radio productions produced by WETA with leading area cultural institutions. CFC and workplace giving contributions also support the broadcast of WETA Television’s four TV channels — WETA TV 26, WETA HD, WETA UK and WETA Kids. Viewers enjoy popular programs such as "Masterpiece Classic," "Curious George," "Doc Martin," "FRONTLINE," "Antiques Roadshow" and "Nature." For this community, WETA provides an important service to children and educators. WETA initiatives aid families, teachers and childcare providers in learning how to use children’s television to help young viewers learn to read. On-air, WETA Kids offers the best in children’s television. Online, WETA national public service websites are also helping students, as well providing the innovative BrainLine.org, to address traumatic brain injury for people of all ages, but particularly members of the military. Workplace contributions also support WETA’s acclaimed local and national television productions. Long a top producer of public affairs, history, and arts and cultural programming, WETA creates some of the finest, most-watched programming in television history, including the award-winning "PBS NewsHour," "Washington Week," "In Performance at the White House" and much more. This work also includes WETA’s 30-year partnership with filmmaker Ken Burns, resulting in programs of unparalleled quality, depth and beauty such as "The Vietnam War," "The Civil War," "The Roosevelts: An Intimate History" and "Baseball." WETA Kids serves children 24 hours a day with PBS Kids programming, the #1 educational media brand for children. WETA TV and FM is community-based public broadcasting, supported by viewers and listeners.